Dimension 1 hot tubs are designed with you in mind. Their interior features are top of the line in comfort, therapy, and convenience. So what are the amazing features of our D1 hot tubs that set them apart from the average hot tub, you ask? Starting at the top, D1 hot tubs have a patented Jet Therapy Pillow that offers the only adjustable neck and shoulder massage system in the industry. It has multiple positions allowing everyone to get the perfect massage whether you are 5’2” or 6’6”. The pillow offers ergonomic support with two powerful jets set in a curved pad. Dimension 1 hot tubs offer patented accent jets that adjust and interchange with a simple twist to offer a customized massage. They have a patented shape unlike any other. The Typhoon jet located in the footwell targets key trigger points in your legs, calves and feet. D1 has an exclusive UltraLife material for the tub’s surface that is not only comfortable, but is the most durable surface available. UltraLife has a unique slip-resistant material, and a lifetime warranty. Seating is so important when it comes to a hot tub. The design team at D1 used the principles of Hydronomics to develop an exclusive “no-float” seating angle that promotes optimized body positioning. This allows you to stay comfortably in your seat rather than floating around above it. The UltraLounge is a “spa-within-a-spa” massage seat that has head-to-toe massage action. It is perfect for tension relief and provides your whole body with hydrotherapy. It also offers the “no-float” design in addition to sculpted leg contours and tactile therapy for your wrists and hands, making it the best seat in the house. Controlling your hot tub’s major functions without having to take your hand out of the water is now a reality with Echo. Activating your jets or your waterfall can all be done with a convenient switch that is located under the water so you can stay nice and warm throughout your whole soak. D1’s Dynamic Massage Sequencer has six pre-programmed massage sequences that offer a full hydrotherapy experience. The digital control panel has an activity therapy display, pause control so you can target specific pain areas and speed control. All of this is done with silent valve operation so your relaxation is not disturbed by noisy jet changes. 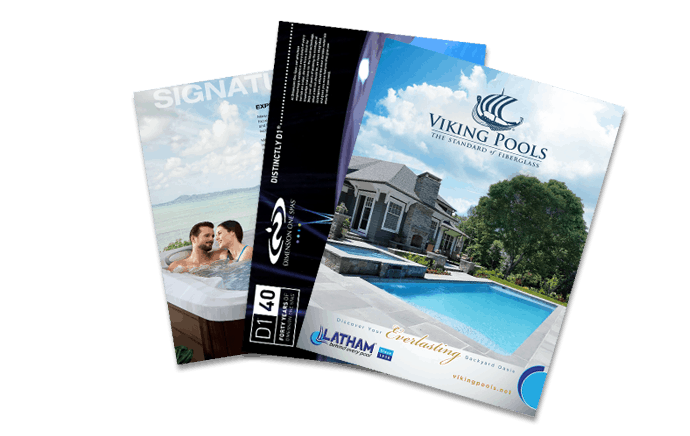 The D1 SmartHUB offers a very intuitive operating system to manage all of your hot tub’s major functions by using full-color icons. It features true touch technology and a large display that makes it easy to use, even with wet hands. If you need to change the temperature, adjust your jets or even program your filter, you can do it all from the SmartHUB. The SmartHUB is also the place for you to adjust your audio system, using D1’s Bluetooth connectivity. D1s feature tactile therapy with different sized therapeutic “bumps” that are grouped together at key acupressure points to utilize the ancient art of reflexology in your hot tub. The bumps stimulate trigger points in your arms, hands, feet and wrists to provide you with a full acupressure massage. Liquid FX uses fountains and lighting effects to create a calming interplay of light sound and shadow. LFX uses long-life LED’s in beautiful jewel tones to create a relaxing environment for you and your guests. Using the principles of Chromotherapy, the Crystal FX lighting system creates a relaxing experience using underwater jewels of faceted light. Crystal FX features long-life LEDs in eight colors to create two different light shows that can calm and relax, or excite and rejuvenate, to set the perfect mood. If all of these amazing features of Dimension 1 hot tubs have you wanting one of your own, come see us at Aqua Pools and let our experienced staff help you find the perfect D1 hot tub so you can start living the dream today.